How to get jamb expo for 2019 CBT exams? Candidates keep asking this questions since Jamb waved PPT exams goodbye. The funny stuff is that students go as long as dropping their contacts to join Whatsapp groups. Jamb has taken malpractice so serious probably that's the main motive behind the emergence of CBT. Jamb expo centers have received sanctions over these recent years. This article will provide full details on any Jamb expo and answer the question of how to get jamb expo for free? Where to get Free Jamb Expo? Jamb runz as it is popularly called, has been a trend since the days of Paper and Pencil Test. Students receive answer updates live on their phone before going to the exam center. Many students even smuggle in their mobile devices and gadgets into the hall. Due to the level of malpractice, many special centers came to be, these centers were established with the purpose of aiding students with answers. The Jamb expos and runz centers provide the answers before the examination. The centers also exist in other external examinations such as WASSCE, NECO, Junior WAEC, etc and are up and running till up till now. The funniest thing is this, many students still fail wholly after depending on the Jamb best expo sent to them. Many centers don't care about the student's success, all they need is the money or whatever the students give. In most cases students get random answers from these centers and due to their level of trust use them and fail. But ever since the introduction of the Computer Based Test (CBT) in 2014, getting Jamb question became more difficult for these centers. Thereby reducing their level of activities and operations. Moreover, the examination is now under CCTV surveillance. How possible is it to bypass these cameras to do expos? 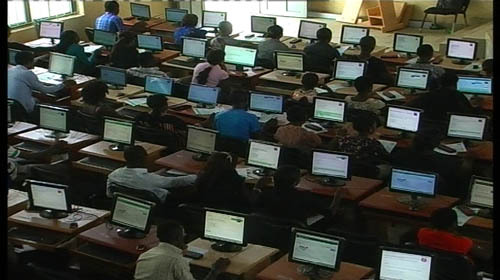 Is Jamb CBT Expo Real and Possible in 2019? The system has continued to upgrade the measures taken against malpractices and Jamb Expo 2019 will be difficult. Based on what I read online, Jamb announced that examinations will be under CCTV surveillance and also there will be guidelines aimed at crippling Jamb expo. Technically, the examination expo this year won't be possible. You still have enough time to read and pass Jamb without depending on expos and runz. If you wish to get guidelines and updates on Jamb on a daily basis, Download Our App on Android.